Your roof plays a dual role. Apart from protecting your home from the elements, it’s also the largest structure that plays a role in regulating your home’s comfort levels and energy efficiency. In fact, reduced comfort levels coupled with high energy bills more often than not trace their origin to a damaged roof. We offer expert roof repair services that address your roof’s most common concerns. We recommend taking advantage of our preventive roof repair as this allows you to address concerns, such as leaks, when they’re still small and easier to patch up. Just like the roof, your siding protects your home from the elements on top of regulating home comfort levels. As with any structure exposed to sunlight and rain, it will deteriorate over time. You want to get ahead of these problems before they worsen inside your home. We’re proficient in wood, vinyl and fiber cement siding repair. 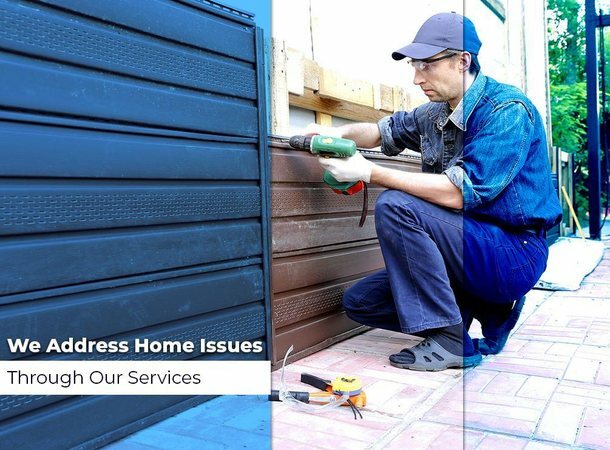 Our experienced crew will address your siding concerns and make sure it remains in good condition throughout the year. You can also count on us to replace your old siding with higher quality hardware from the brands we represent. The best way to go about addressing your home’s issues is by hiring an experienced contractor like us. When you work with our crew, we always do an in-depth inspection of your home. This allows us to identify your existing concerns and develop the right strategies to address them. NC Rebuild, Inc. offers complete home improvement services, from exterior painting service to preventive roof repair. Call us today at (919) 625-5453 to learn how we can help you. We serve residents of Durham, NC with all of their home repair needs.